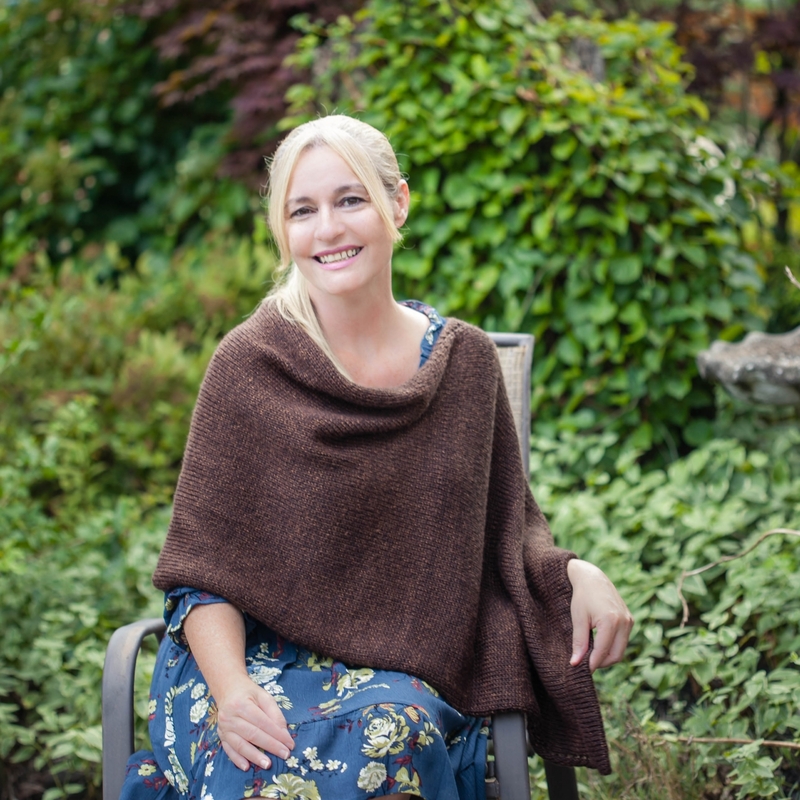 Loom Knit Poncho Pattern. 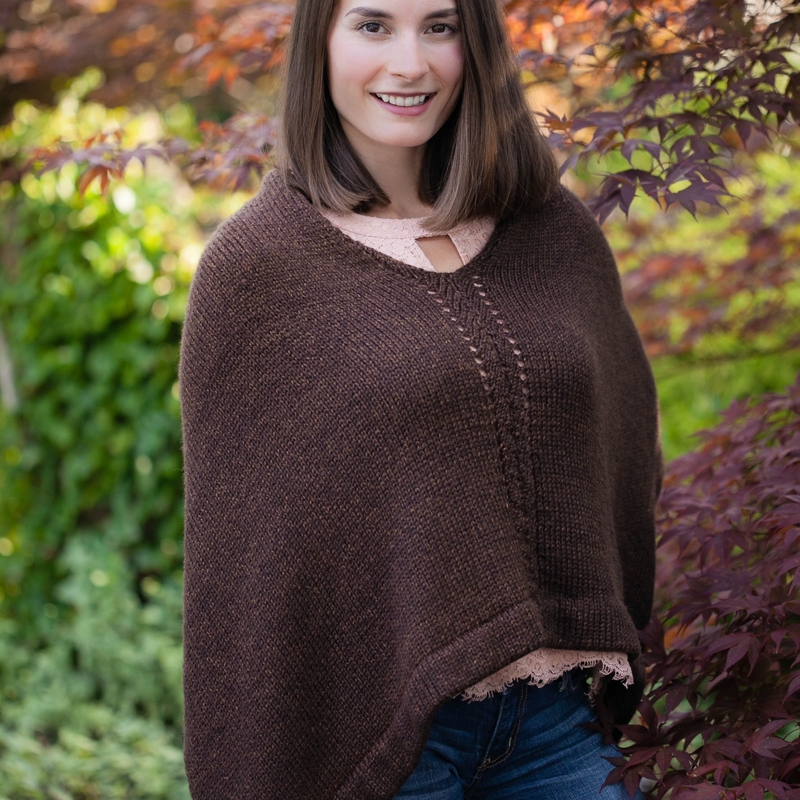 The Rebecca Poncho Has An Elegant Design and Is Loom Knit From One Rectangle. 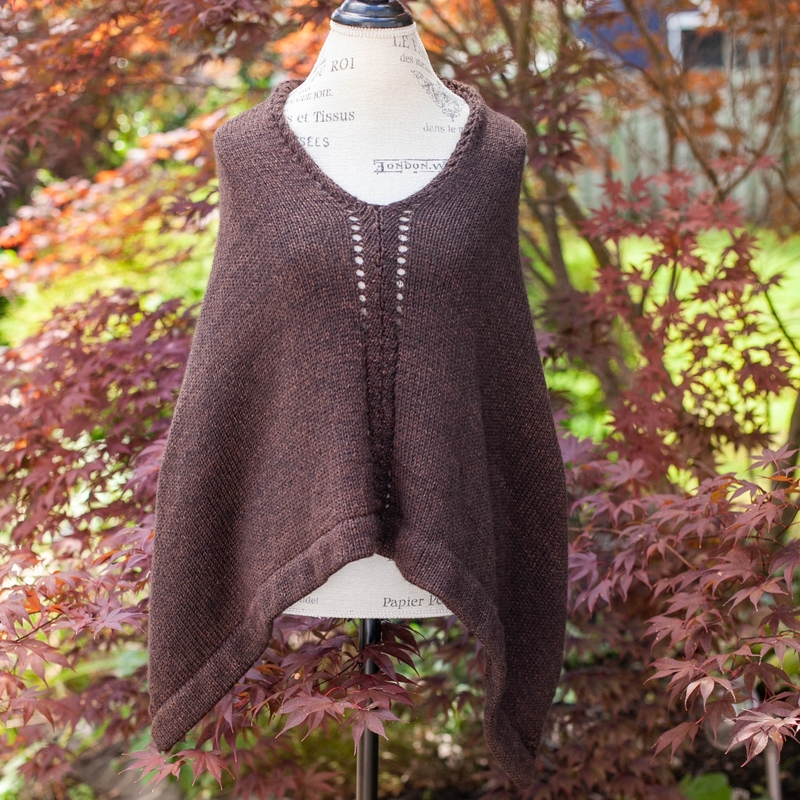 Easy Fold Cape Design. PDF PATTERN Download. 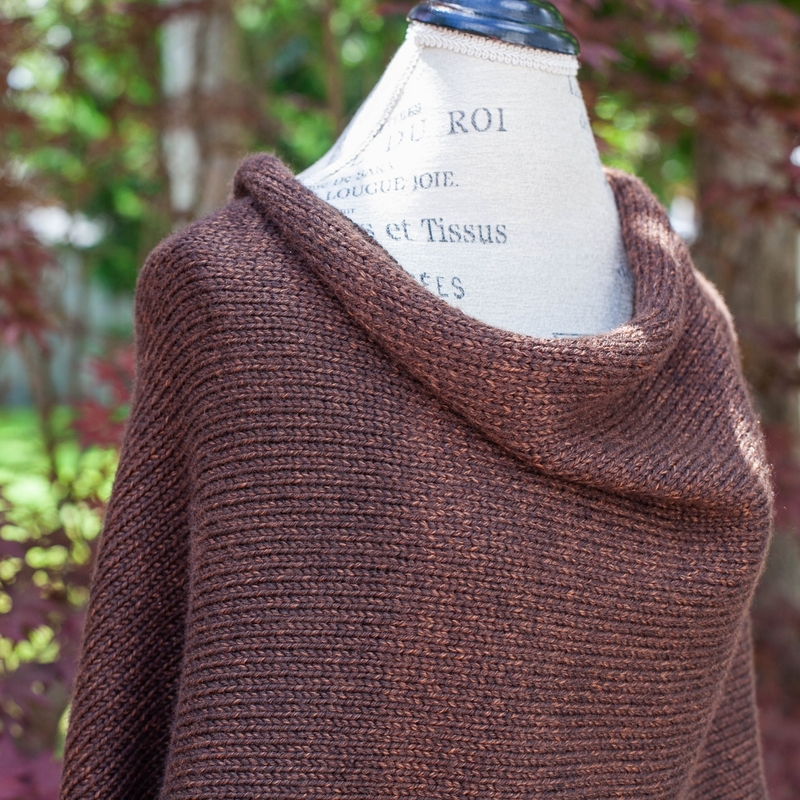 Simple Fold Poncho. It can be worn 3-ways! 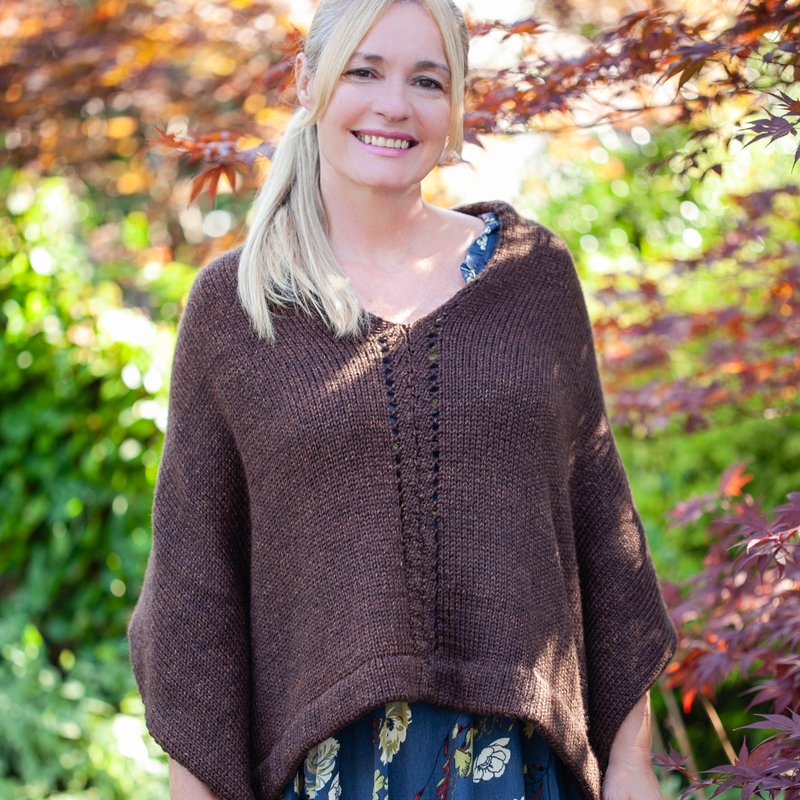 This lovely poncho is loom knit from one rectangle. 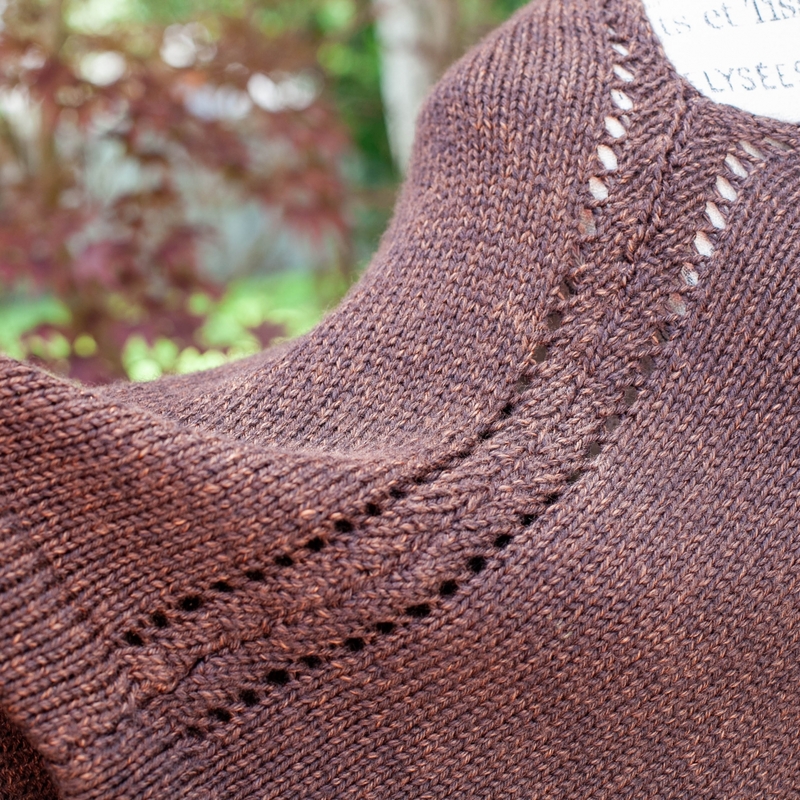 It has beautiful drape, a diagonal eyelet border, and clever seaming to achieve shape. Wear it 3 ways; with the V-neck up front, in back or to the side. This is a beginner friendly pattern! This is not a finished garment. Size: One size, Fits up to approx. 56”/1.4 m around comfortably (including arms/shoulders). You may alter the size of the poncho by adding/subtracting sts and rows. 4.5 stitches = approx. 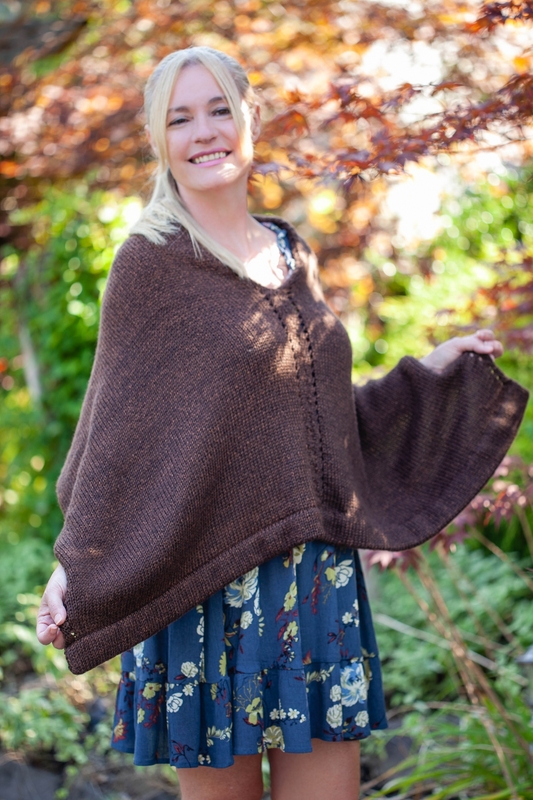 1”/2.5 cm (the # of sts equals the height of your poncho/rectangle). 6.5 rows = approx. 1”/2.5 cm if meeting gauge (the rows will equal the length of your rectangle or width of the final garment). Any changes to the pattern are at the discretion of the loomer. If changing the size, you may need more or less yarn. Loom Needed: 3/8” Peg spacing loom, 99 pegs, Knitting Board adjustable loom used in sample but any brand can be used. 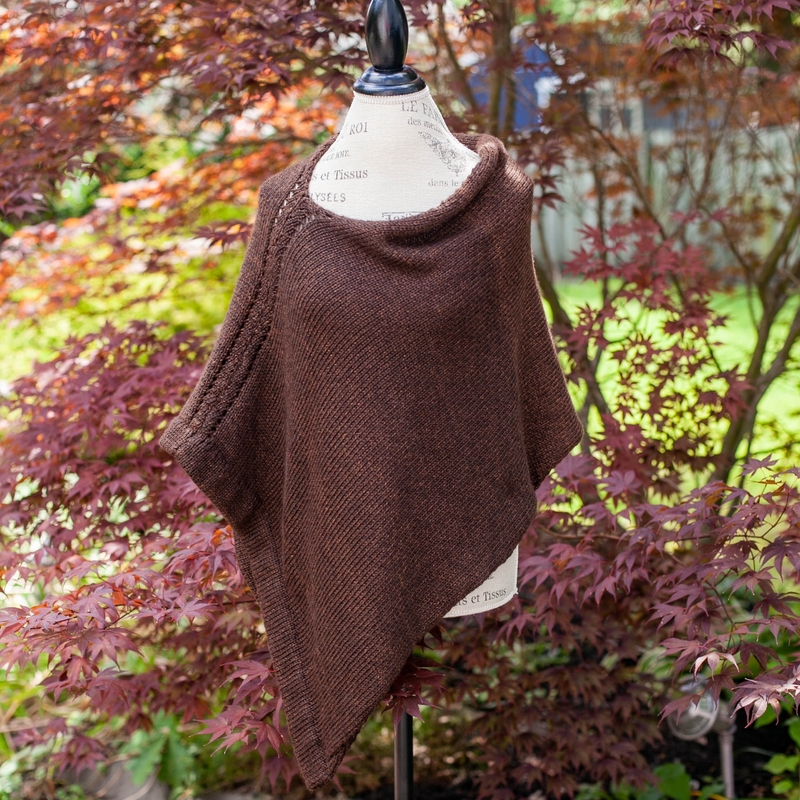 Poncho is knit flat not "in the round". ALL pattern sales are FINAL and NON-REFUNDABLE once downloaded, no exceptions.